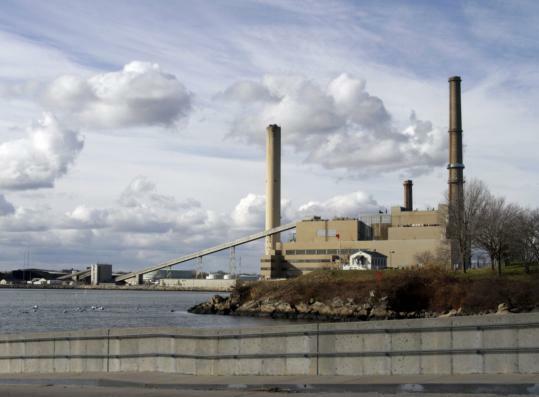 SALEM — “Not in my lifetime’’ is a retort that opponents of the Salem Harbor Power Station got used to hearing in years of warnings that the end was near for the hulking plant. For six decades, the plant has stood smoking over the historic port as it burned the coal and oil that made it a target for environmentalists while paying the millions in taxes that helped it win local loyalty. But the plant now looks poised for that predicted exit as tough pollution rules are set to take effect. The comment rattled city leaders, but environmentalists say Salem now has a chance to demonstrate how a city can best move beyond burning coal to keep its lights on. “This is the beginning of what’s going to be happening all over the country,’’ said the Rev. Jeffrey Barz-Snell of the Salem Alliance for the Environment. Some closings are already underway elsewhere. Exelon Corp. is planning to shut down two Pennsylvania coal plants, both more than 50 years old, by 2012. Edison International plans to close two 55-year-old coal plants near Chicago by the end of this year. The Salem plant is older than all those facilities, opening in 1951 before expanding in 1958 and 1972. The 745-megawatt plant can power 745,000 homes and is paying Salem $4.75 million in taxes and fees this year. Delores Jordan, who lives about a half-mile from the power station, remembers the playground that spanned the plant’s property before its smokestacks, rusting oil tanks, and massive coal mound blocked the ocean view. Wowed by the promised millions in revenues, Salem residents supported the plant from the start, said Jordan, 82. The support held strong, she said, even after residue streaming from its smokestacks began leaving a black film on windows and porches. The plant’s pollution eventually earned it a listing in 2000 as one of the state’s “filthy five’’ dirtiest power plants. It also took a big hit in 2007 when an accident killed three workers. And a study a decade ago by Harvard University researchers said the plant caused 30 premature deaths annually. Such studies prompt deep skepticism locally. Dominion Resources Inc. has reduced pollution since it purchased the plant in 2005, with steps such as switching to low-sulfur coal. But in the way it spends money, Dominion has signaled that the Salem plant is a declining priority. Since 2005, Dominion has spent more than $1 billion on its larger and more efficient 1,547-megawatt coal plant at Brayton Point in Somerset, compared with $12 million in Salem. Dominion spokesman Dan Genest said Salem is a so-called merchant plant, meaning that it sells power into a market instead of directly to ratepayers, so Dominion cannot shift the costs of new pollution controls to ratepayers. “We would not spend the money for those controls, and we would close the plant down if we could not recover our costs,’’ he said. But ratepayers might still end up paying for such upgrades in Salem. In recent years, Dominion has asked the local grid manager, ISO New England, for permission to temporarily remove, or delist, its generators from a key energy market. But the ISO has required Salem to operate and can continue to do so, if it determines that Salem is needed to guarantee that the area gets sufficient power when energy use spikes. The ISO is now studying how to replace the Salem plant, such as by adding wires to upgrade the transmission system. Such upgrades can take five to eight years, given the complexity that comes with running wires through new areas, said Doug Hurley of the research firm Synapse Energy Economics Inc. If new environmental rules go into effect while Dominion is required to keep Salem running, the millions in compliance costs are passed on to ratepayers, pending approval by the Federal Energy Regulatory Commission. “We could have this plant sticking around . . . putting out pollution, funded by ratepayers,’’ said Shanna Cleveland of the Conservation Law Foundation, a longtime plant opponent that unearthed McGettrick’s remarks. Mayor Kimberly Driscoll of Salem pointed out that the plant meets stringent pollution regulations. And she would not mind an extended life for the plant. This year’s taxes and fees are roughly equal to the budget of the Public Works Department, she said. A study that will look at reusing the site is planned, and a luxury marina or a cleaner power generator are among the ideas that have been floated. But Driscoll says that none of it will match the revenue the plant brings. The work represents a piece of Salem history that Gifford, 57, does not want to see disappear. “I’ve watched Salem change in my life from a blue-collar manufacturing town. . . . [Now] that’s the last plant left,’’ Gifford said, as he sat in his work pickup, the plant behind him.